Several wildlife conservation groups have filed a lawsuit in federal court to reverse amendments they say undermine an Obama-era plan to protect sage grouse. The lawsuit claims the amendment would open 50 million acres of the bird's habitat to drilling. Michael Saul with the Center for Biological Diversity said that could seriously impact the species since the bird is still declining in some areas. "The sage grouse is such an important canary in the sagebrush, as it were, to mix metaphors," said Saul. "Because it's both intensely loyal to particular areas in the landscape and intensely dependent on having large areas of intact, undisturbed sagebrush." But Wyoming Sage Grouse Implementation Leader Bob Budd says, in Wyoming, the amendments help align the federal permitting process so it matches the states'. "There's no surprises, there's nothing that I think is going to pose a huge challenge to the species and we're going to continue to move forward in the same way we've been doing now since 2007," Budd said. Saul said he agrees, but only in part. "The federal land plans for Wyoming are more refinements, although I'd note that none of them improve protections for sage grouse, all of them remove protections and make it easier for oil and gas drilling in particular." Saul said Wyoming's protections may be strong, but the species could still end up on the Endangered Species List because neighboring Idaho and Utah haven't adopted as many state policies to protect it. The Interior Department has issued its final amendments to how sage grouse habitat will be managed across the west. The record of decision (ROD) changes the 2015 land use plans that helped the iconic western bird avoid an endangered species listing. 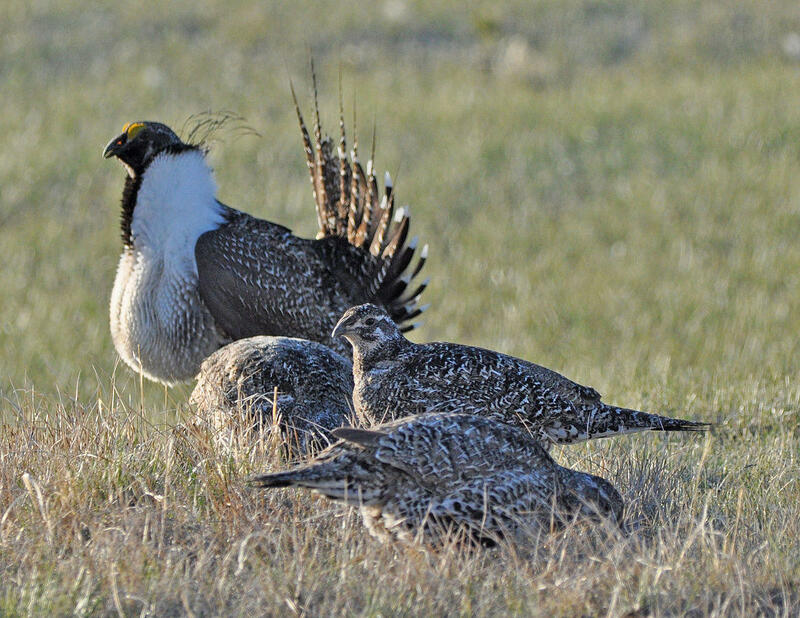 An environmental group sent a letter to Governor Mark Gordon asking him to intervene in last week's lease sale of some parcels of land native to sage grouse. The public is getting extra time to voice opposition for proposed changes to an Obama-era sage grouse rule. The Bureau of Land Management is extending the deadline after some technical mishaps related to the partial government shutdown.